An exotic looking plant with a stunning flower spike that lasts as a cut flower. It is amazingly adaptable, tough and easy to grow even in cooler climates, and readily multiplies to create a tropical looking groundcover. 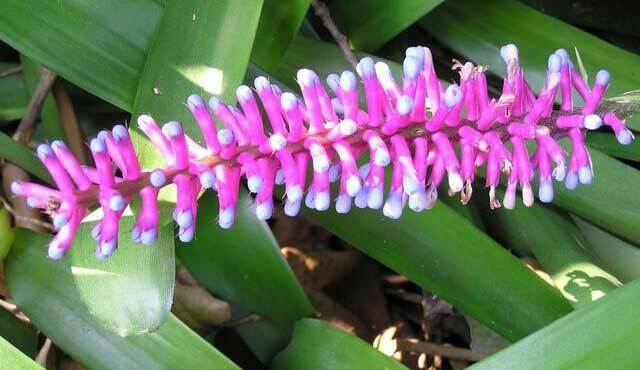 Matchstix is a great beginners bromeliad as it is so hardy and lacks the painful spines that many species have. INDOOR PLANTS:Feed in spring/summer by spraying with a weak seaweed emulsion (half the strength recommended on the label).